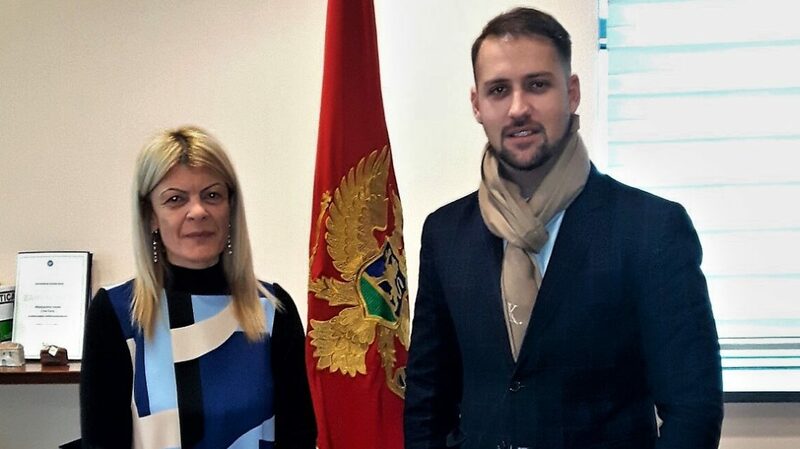 PODGORICA – RYCO Local Branch Officer in Montenegro Mr Edin Koljenović met with Minister of Science of Montenegro Ms Sanja Damjanović. At the meeting organized in the Government of Montenegro, Mr Koljenović presented the results of the organization’s work, as well as the strategic plans for the next period. The meeting focused on the potential cooperation of the Western Balkan Region in the framework of the Berlin Process and how this process can be used for achieving new results. Ms Damjanović pointed out that Montenegro has initiated a major project focused on cooperation in the field of science that includes the WB region but also beyond. The interlocutors also discussed possibilities of how RYCO can contribute to the development of this project. Important and concrete areas were identified for cooperation as well as how to overcome challenges and motivate young people to get involved in the project and project activities. Mr Koljenović and Ms Damjanović agreed that this is the beginning of the planning of joint activities that are important since it is about cooperation initiatives where synergy can contribute to achieving higher results.